Come and try out the downhill mountain biking. - There are 184 kms of trails! 64 kms link Samoens, Morillon, Sixt and Verchaix. 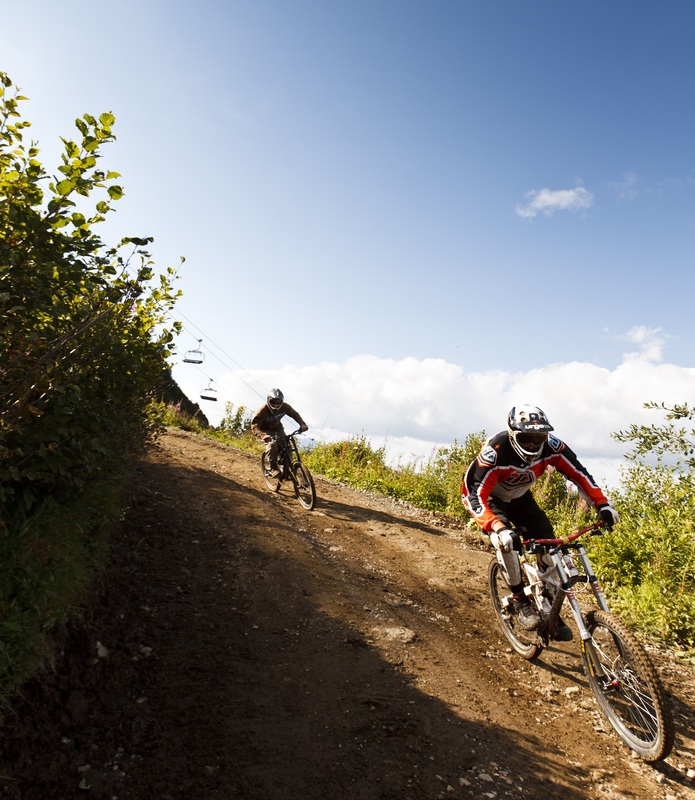 Explore a larger mountain biking area on the Grand Massif when the skilifts open this summer. You're bound to enjoy an adrenalin rush with a 1,400-metre drop in altitude between the Tête de Saix and Samoëns or Morillon (the lowest points in the biking area) with a choice of black, red or blue runs. Be one of the first to access all the new trails - natural pathways in a range of different environments. Children over ten years old only - the pistes are quite long and can be tiring for younger ages. From 07/07 to 31/08 between 9.30 am and 5 pm.